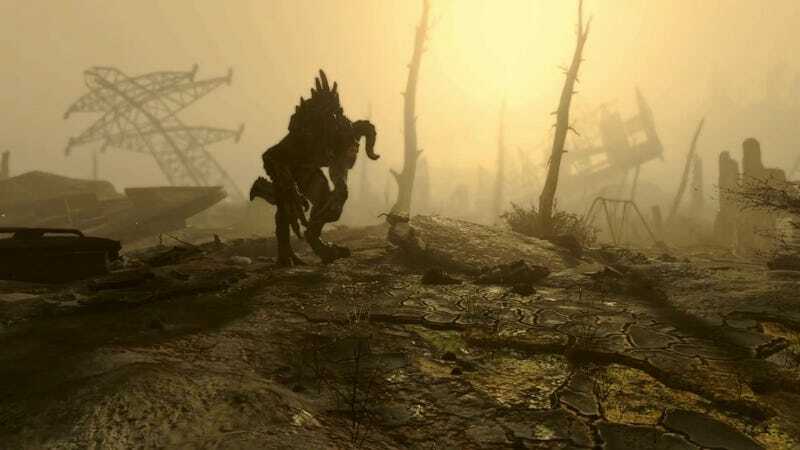 Why settle for dumb old Dogmeat or sadly unromanceable Codsworth when you can roam the wasteland with a loyal deathclaw? It’s a question I ask myself every day. Can’t wait to saunter through the wasteland with my sick double deathclaw entourage. Or maybe I’ll have a pet gorilla, and my pet gorilla can have a pet kitten. We’ll be the talk of whatever’s replaced The Discovery Channel in Fallout 4’s alterno-historical future in which The Discovery Channel probably never existed. The only real downside here is that cats apparently can’t fight in the game. In light of the way my hands look after trying to pet a friend’s new kitten, I assure you: actual cats absolutely can. I guess Fallout 4 didn’t live up to the hype after all.